When looking to install a passive optical network with reliable technology, look no further than OCC's newly developed POL Solution. POL systems afford substantial improvements in energy savings and are more environmentally friendly than many traditional cabling infrastructures. As a leader in fiber optic infrastructure, OCC provides a complete system with intuitive components that make installation nearly effortless. With OCC's legendary ruggedness, this system will last through years of use and is ready for future upgrades. OCC offers flexible options based on application needs and infrastructure requirements. 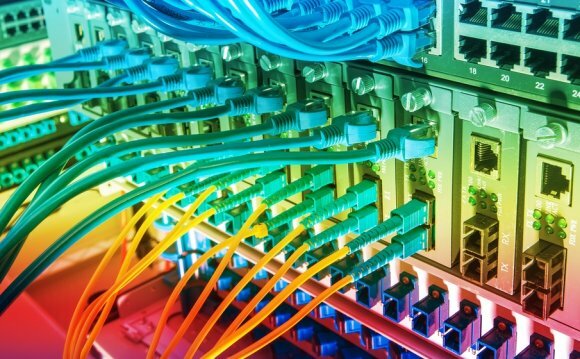 In addition, OCC's POL Solution integrates seamlessly with all our structured cabling fiber optic components. As with other OCC products, our components are easy to install and manage. A retraction mechanism for ceiling/floor mount enclosures enables easy access to bulkhead for adapter/cassette placement, cable routing and cross connecting. Recessed hinges create a seamless appearance in drop ceilings. OCC is known for our tough components, and our POL Solutions are no different. Our standard simplex cables are renowned for providing significant mechanical and environmental performance over our competitors with greater pull strength, greater impact and crush resistance and truly bend-insensitive fibers. And if the application calls for the toughest cable on the market, OCC has a cable for that, too. The POL connectivity components are founded on the rugged RTC enclosures and are the most resilient in the market. OCC manufactures the best cabling in the industry, and the most practical and durable connectivity available today. Couple that with the service and tailor-made options from OCC, and your choice for a POL fiber optic access network becomes clear.